Oval makeup brushes have taken the beauty world by storm over the last few months and I've certainly been chomping at the bit to try them out. I started seeing people on YouTube using and raving about Primarks offerings and seeing as their so affordable I thought it would be the perfect place to start, however...their so bloody hard to get hold of in my local Primark, I've been searching since last November and it's taken me until February to finally be able to get one. I decided to go for Primarks £4.00 Oval Brush, they have quite a few different sizes to choose from with prices varying from £2.50-£5.00, but I thought the £4.00 size would be perfect for foundation application which is exactly what I wanted an oval brush for. The brush itself has a plastic handle and is packed full of synthetic bristles that are nice and dense, I literally couldn't get over how soft the bristles where, I actually found myself stroking my face because it felt so nice he he, please tell me I'm not the only person who does this with their super soft makeup brushes. 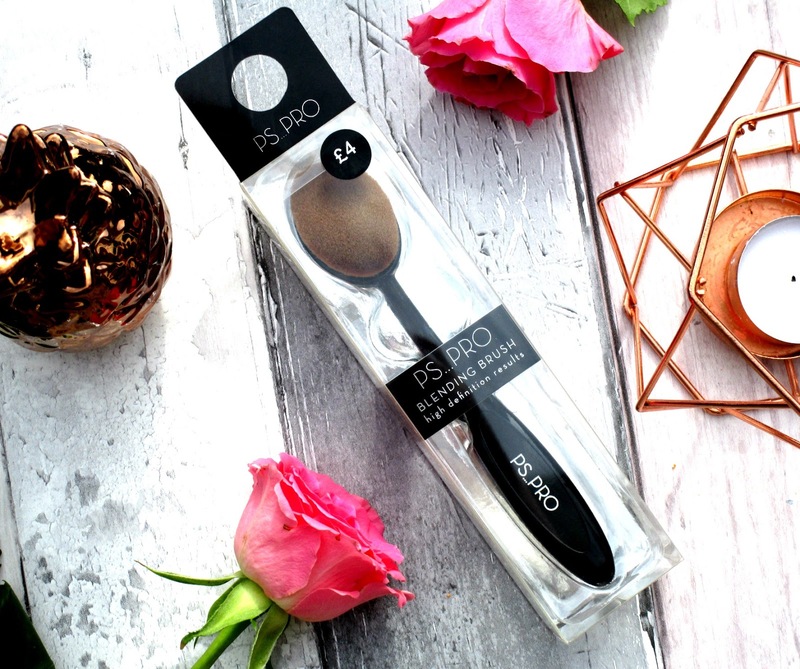 After giving the Primark Oval Brush a whirl with my foundation I'm totally sold on the new oval brush trend, and will definitely be buying Primarks other sizes when I go in next. I found it buffed my foundation into my skin flawlessly in a matter of seconds without leaving any brush strokes or un-blended area's, the only problem I had was I found it quite difficult to get around my eye area and around my nose but I feel the next size down in this brush would be perfect for getting into those harder to reach areas. 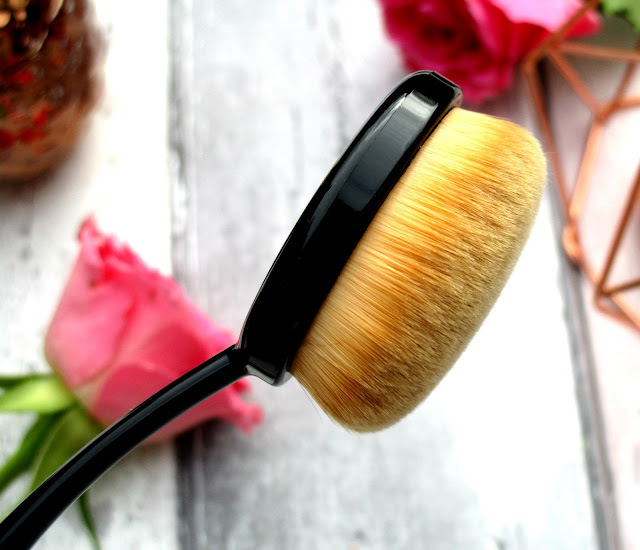 I've also really enjoyed using this brush for buffing in cream contour and highlight and cream blusher, which again it does in seconds, I honestly cant believe how quick this brush works, it's amazing! 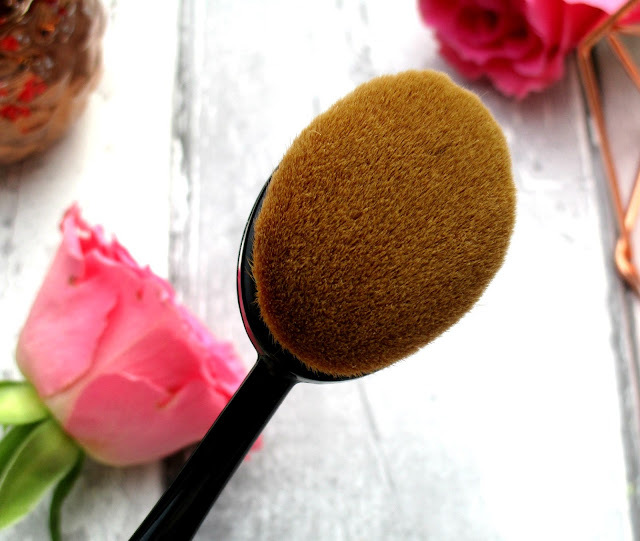 The way I like to use my oval brush is by popping dots of foundation around my face and then buffing the foundation in -in circular motions, I tend to hold the brush quite high up and I also have one finger supporting the brush head at all times, I do find that the thinner piece of plastic that connects the brush handle to the brush head quite bendy so I juts like to give it extra support with my finger. I use the same technique when applying cream contour and blush too, I just pop lines/dots of the product where I want it and then go in with my oval brush to blend it all out. Overall I'm so impressed with Primarks Oval Blending brush and will be buying all the other sizes next time I go in, I'm quite shocked that this brush actually came from Primark because the quality it super nice, it works so quick and easy, blends like a dream and I've not experienced any shedding bristles either which is a plus. 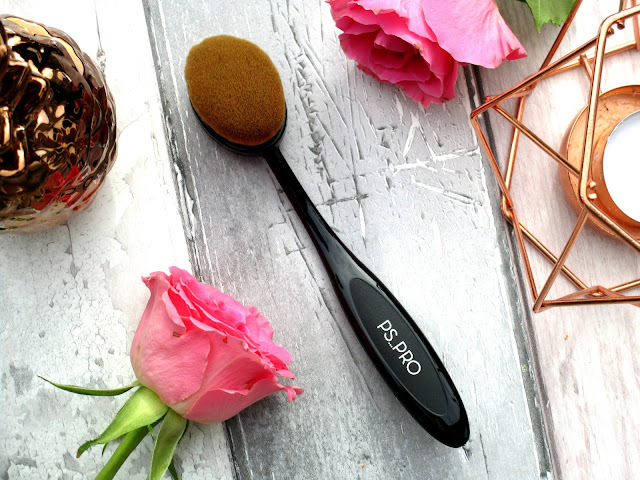 Do you have any of Primarks Oval Blending Brushes beaut's? What did you think? I'd love to know! I've been tempted so many times to use an oval brush, I'm not 100% if I'd like them, but it's worth a shot! For £4, you really can't go wrong, but really glad you liked it! Will definitely be on the look out for these next time I'm in store! Always looking for ways to change up my makeup routine and makes it even better that these come in so cheap!